MKG Martial Arts Seattle will be conducting a level test for our True Mixed Martial Arts class. Our True MMA curriculum is a blend of Kali Weaponry, Muay Thai, Jeet Kune Do, Panantukan and Grappling. (CSW and BJJ) Our mixed martial arts curriculum is broken up into 4 phases with 3 levels each. 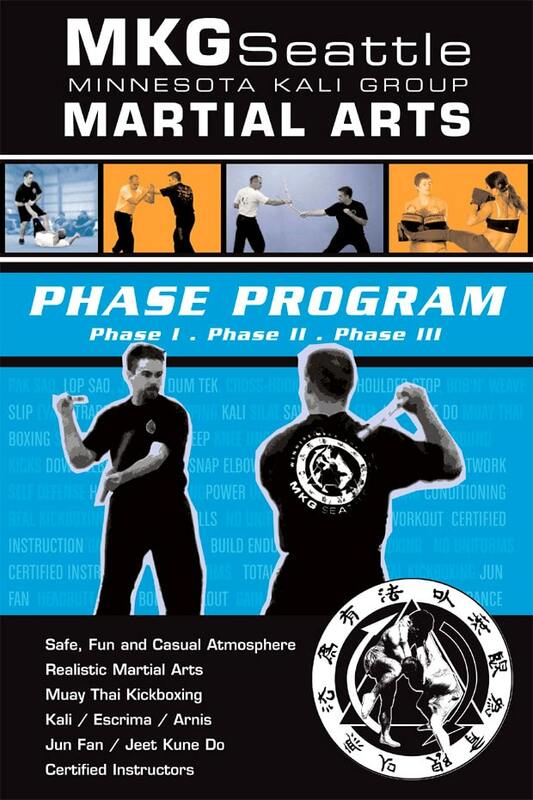 This phase system allows us to provide training for beginners to advanced. MKG, Minnesota Kali Group, specializes in making the absolute best in true mixed martial arts training available to everyone in Seattle. Our drill based curriculum allows us to train at a very high level without the danger of injury. The UFC MMA training is just one small portion of the overall curriculum. Students are encouraged to learn each art from the ground up. By focusing on the martial ART aspects each student is encouraged to compete with themselves daily rather than comparing their progress against someone else. This frees the student up to enjoy the training and to be able train for life.